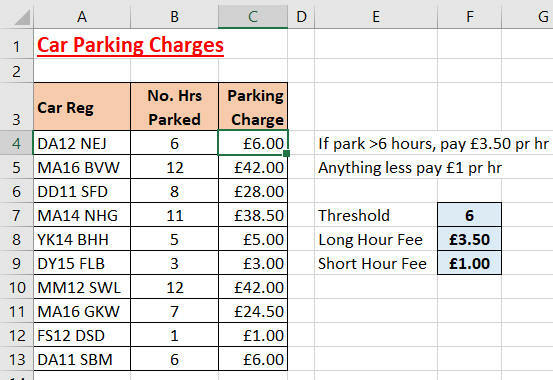 In cell C4 create a formula using the =IF function to calculate the parking charge, then copy the formula down the rest of the column to calculate the other cars' parking charges. The =IF function charges either £3.50 or £1 for parking. Change the threshold and parking fees to different values to check that your =IF function is working correctly, then use Save As... to save the file in your own new Excel work folder.